The quality of child education your little one receives greatly impacts their early childhood growth and preschool is where your child truly begins to learn and explore more about the world around them with proper guidance and encouragement. That is why it is important to find the right preschool for your child that will provide them with the tools they need in order to attain a healthy growth and development. Smaller classes allow our teachers to create personalized learning paths that will suit each student’s unique personality well. Because of the small student-to-teacher ratio, we get to know how each student learns and where they stand in class. This can then be used to design activities and various methods of learning to make sure everyone learns and understands the lessons. Fewer children in one class mean lesser time teachers spend managing the little tots and keeping them in place. This allows more time for various classroom activities, as well as teaching important subjects and good morale. More time can also be spent to teach each lesson so the students can get a better grasp of them. When the right focus is given to a child in their early educational years, they are more likely to also exhibit good performance as they progress in their studies. This translates to a higher success rate for your child in and out of the classroom. A good bond and strong classroom communities can usually be created in small-sized classes. The children will get to know each other and everyone well. Connecting with other students and expressing their feelings will be much easier for your little one. Even the shy students will get to open up and be more comfortable around their classmates and teacher. With a small class, parents or guardians can expect more personalized feedback from teachers on the performance and behavior of their children. 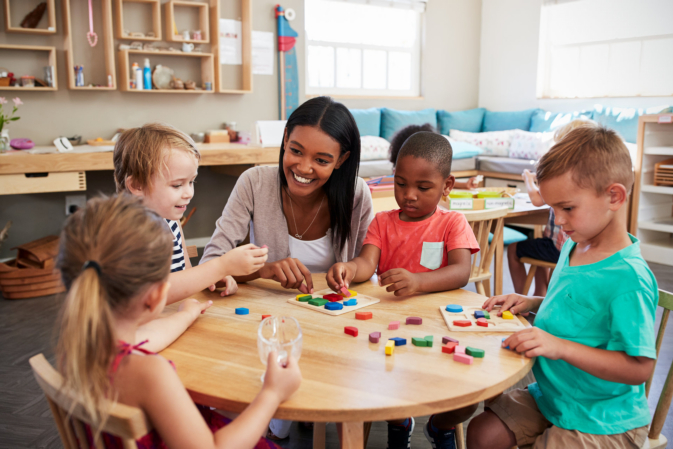 Small class sizes also create an opportunity for parents or guardians to speak and discuss often with teachers, and to be directly involved with their preschooler’s education. Little Lords and Ladies Learning Academy is the preschool in Orlando, Florida you can trust to provide your child with the tools they need to achieve success. With programs catered for children from toddlerhood to Grade – 4, we create, promote, and encourage learning and holistic development through discovery, problem solving, and exploration. Call us today at 407-281-6464 to know more about our programs, bilingual classes, and other educational services. This entry was posted in Preschool and tagged Child Development, Child Education, Class Size. Bookmark the permalink.